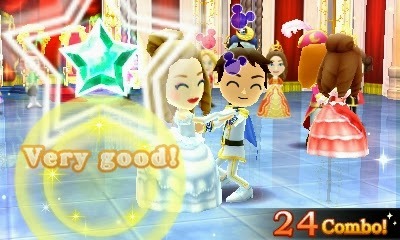 We've but a few more days in our Nintendo 3DS month of reviews, but have no fear! We're going to be kicking things up into overdrive these last days! 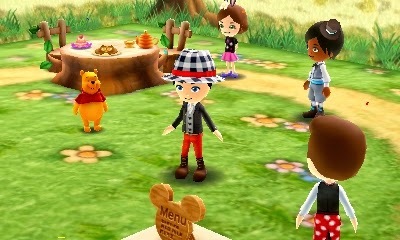 Let's begin with our review of Disney Magical World for the Nintendo 3D-- wait. We already said this was our Nintendo 3DS month of reviews, so it's a bit redundant to say what system this game is for! Bah! Onto the review, dear friends! Disney is without a question a force to be reckoned with. Gobbling up Marvel Comics and then Lucasfilm, Disney seemingly has its hand in everything nowadays. From its theme parks, to its animated and live action films, to its chain of international stores, Disney is a brand that knows no bounds. That stretches into the world of video games as well. Many of us older gamers will fondly remember a time in the late '80s and early '90s where Disney and Capcom was a dream team that was, for lack of a better word, magical. These days the quality of Disney games has waxed and waned. While there have been some successes, notably the Kingdom Hearts and Disney Infinity games, the majority of titles were less than satisfactory. 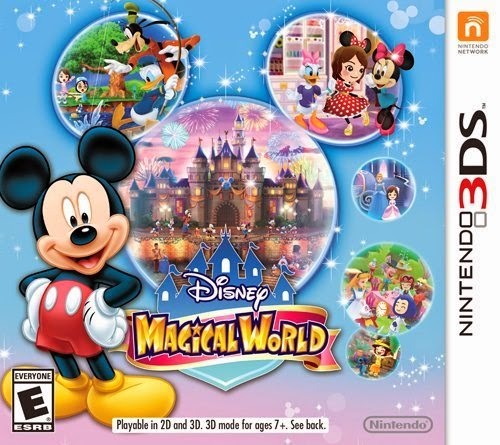 After releasing to great critical and consumer success in Japan, Namco Bandai has given the localization reins of the latest Disney title, Disney Magical World, to Nintendo. The end result may just be something that you get when you wish upon a star. 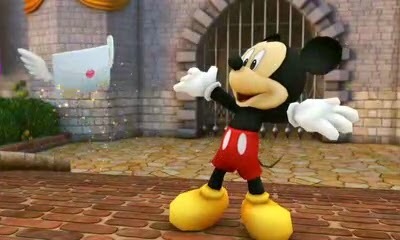 Disney Magical World begins with you creating your character to explore the game world with. You can opt to use a Mii, or you can create your own custom character with the simplistic creation system. You're limited to a finite number of faces, hairstyles, and skin and eye colors. Note that your character can be altered in physical appearance after this initial process. You're then whisked away into the city of Castleton, a magical place full of Disney all-stars. No, no, I'm not talking about crap like Hannah Montana and Cory from Cory in the House. I'm talking characters like Mickey Mouse, Minnie Mouse, Donald Duck, Daisy Duck, Goofy, Pluto, Chip and Dale, among many others. Though the ones listed are the only characters who have voice actors attached to them, for what little spoken dialogue there is in the game. Leave your luggage with the flight attendant, please. The main path of progression in Disney Magical World is measured by collectibles called Stickers. These are earned through completing in-game tasks, such as creating a certain number of furniture, clothing and cafe dishes, catching a set amount of fish types, clearing so-and-so episodes, and so forth. 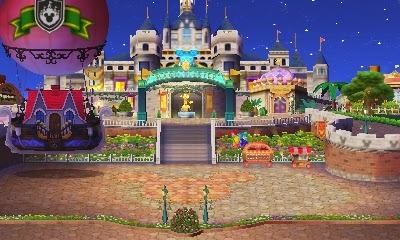 At the beginning of the game you don't have much freedom at all, but once the prologue is completed, which essentially serves as a tutorial about many of Disney Magical World's gameplay nuances, the game opens up considerably. Castleton serves as the main hub of Disney Magical World. 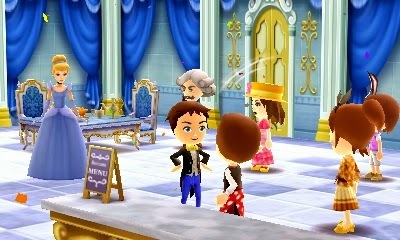 You're constantly returning to this bustling community, taking requests to get a specific item for NPCs, going to your customized cafe where you can create the menu, the interior design, and even the outfits that the manager and helper (which can be made to be one of your Miis) wear! The cafe is one of your primary and paramount sources of income. Welcome to Cafe Le Phil. It looks like I'm wearing a grey-haired man's head. Castleton is home to an abundance of characters that wish to assist you and make your stay in town enjoyable. Daisy Duck is the tailor of town, creating clothing, outfits, and accessories for your character. Meanwhile, Chip and Dale next door will build furniture for you, either to set up in your cafe or your own private room. Crafting clothes and furniture requires materials, and these are found all over Disney Magical World-- within the town itself, ready to be picked up, in stores, in dungeons, received from successful trades, etc. If you'd rather just cut out the middleman, Scrooge McDuck's store, operated by Huey, Dewey, and Louie, sells pieces of clothing and furniture for you to purchase. The stock changes twice a day, so there's always something new to spend your hard-earned money on. Apart from what's available in Castleton, as more Stickers are earned, new places and worlds open to visit, based off numerous Disney animated classics like Cinderella, Alice in Wonderland, Winnie the Pooh, and Aladdin, for starters. These worlds contain episodes that are unlocked as your Sticker count improves. Welcome to the world of Cinderella. 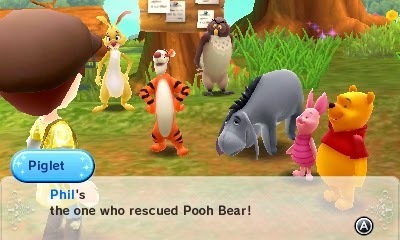 Aside from Winnie the Pooh's 100 Acre Wood's episodes, which focus on building or finding things for the various familiar denizens, the majority of episodes change up the gameplay considerably. Most notable are the myriad of dungeon crawling episodes that task you with entering linear areas, taking out enemies with your magical wand, opening treasure chests, picking up loot, and satisfying the episode conditions to progress in the game. While it's only required to complete a given episode once, it's beneficial to do so multiple times just to get materials for building furniture, making clothing, and creating dishes at your cafe. There's hundreds of different materials to obtain, and each item that can be created has a different set of materials required for it to be made. 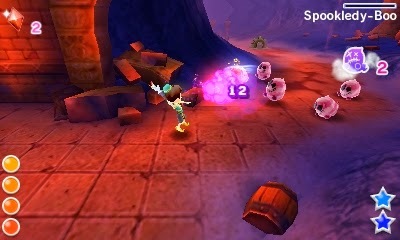 The dungeons themselves feature simplistic action-RPG gameplay. Consider this somewhat like a "My First Dungeon Crawler" experience, which may turn off more experienced players. However, it is shockingly fun to run around the various dungeons, picking up the occasional rare material, showering enemies with magic to defeat them, beating down bosses, and doing so in style. There's a normal magic attack and a special magic attack that deals more damage and can only be used when there's some star power available. In addition to offense, a helpful evasion maneuver, performed with a tap of the R button, allows your character to gracefully get out of trouble. This is especially nice in harder dungeons where enemies are more aggressive and greater in numbers. You don't gain experience or levels to build your character's strength. 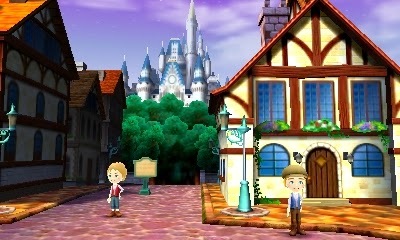 Instead, you visit Yen Sid in Castleton to exchange materials for more powerful magical wands. 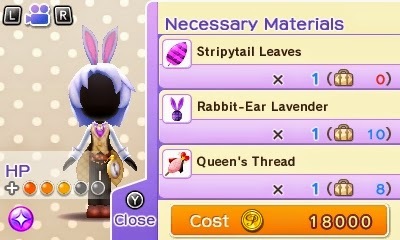 For more health, you head to Daisy Duck's tailoring shop to create special themed outfits, also in exchange for materials. Stronger gear is available to you as you progress through Disney Magical World and uncover new recipes for new designs. Still, there's a definite sense of repetitiveness in Disney Magical World. Repeating dungeons, planting crops and waiting for them to grow, grinding for and gaining materials, restocking the cafe full of dishes, saving up money for that one piece of furniture you've had your heart set on for the longest time (and the one that is required to complete a task)-- these are all things that players will go through over and over again. While it didn't bother me so much, it most certainly will to a lot of less forgiving players. in the 100 Acre Wood.... on a Tuesday. However, something that did bother me was the amount of load times present in Disney Magical World. All to their lonesome, each load time isn't very significant. Nonetheless, this is a game where you're constantly entering and exiting buildings and areas where each change of scene presents the player with a loading time. Quite frankly, it adds up and becomes rather annoying. On the presentation side, Disney Magical World is a mixed bag of sorts. 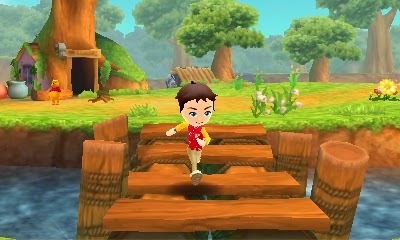 The visuals don't astound, there's readily apparent pop-in of faraway characters, the frame-rate can be unstable at times, and the 3D effect seems like h.a.n.d., the developer, had the game nearly completed when it realized, "Oh, we need to implement 3D into this 3DS game somehow." That is to say that the 3D effect is totally unimpressive. The music is suitably cheerful for this title, though the short loops will eventually get to many listeners. and we're already out of honey!! Disney Magical World is not a perfect simulation game by any stretch of the imagination, but it triumphantly stays true to the world of Disney, presenting an entertaining and engaging game to pretty much all ages (though there is a lot of reading involved, namely for material name recognition, so be warned, parents!). It's inviting, it's appropriate for a wide audience, it's packed with dozens of hours of seemingly never-ending content, and it is filled to the brim with that distinct Disney personality and charm. In the long run, my small beefs with the game does not stop Disney Magical World from being an appealing pickup for any Disney or life simulation fan.